Updated to include 50 additional grooves, this encyclopedic book and two-CD set contains more than 450 musical examples in standard notation, showing grooves and practical variations. Overviews of the history and development of almost all popular music styles are covered alongside innumerable helpful performance tips. The two accompanying CDs feature performances of nearly 200 of the grooves, including every primary style example, all performed both with and without a click track. 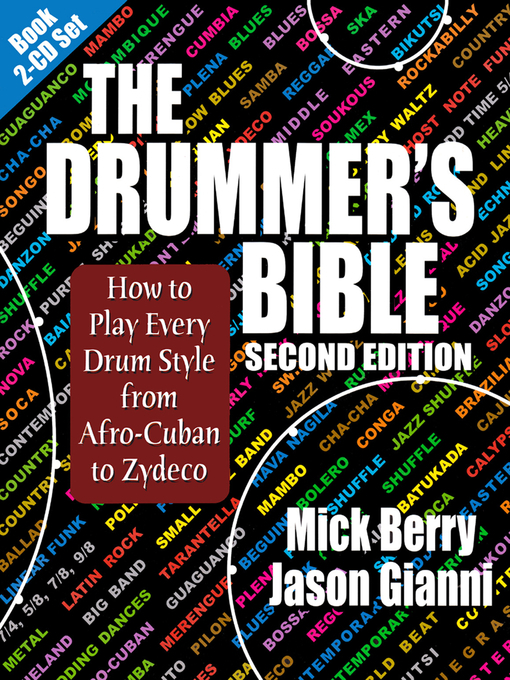 Styles covered include blues, rock, jazz, reggae, country, klezmer, ska, samba, punk, surf, heavy metal, latin rock, and funk; virtually every style a performing drummer will ever need to play is in there. This revised second edition also includes an updated bibliography and discography, as well as more historical information about the individual styles.